Ed Dames was a member of the Star Gate remote viewing program, trained by Ingo Swann to stage 3 in CRV, a vocal guest on Art Bell radio show, and creator of PsiTesch.com. Edward Dames [Major, Ret.] was assigned for over two years to the U.S. Army intelligence unit that utilized Controlled Remote Viewing as a data collection tool. Prior to his military retirement he founded Psi-Tech Corporation, a company now based in Beverly Hills, California, of which is he is the President. Psi-Tech offers ‘TRV’ services for companies interested in finding out what the future holds, what their competition is doing, and what the “best path” scenario will be. Mr. Dames offers TRV training to the public. He is extremely interested in using remote viewing for UFO and ‘Future’ research work, and can often be seen in the media spotlight. LearnRV – Ed Dames curretn website and Remote viewing training centre. 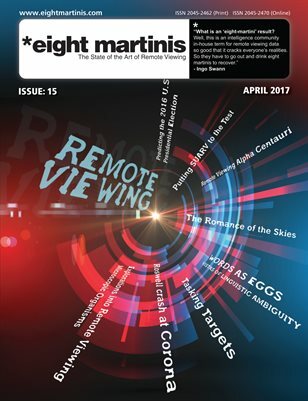 Letter from Ingo Swann (Father of CRV) to Major Ed Dames – Ingo Swann, the developer of CRV (Controlled or Coordinate Remote Viewing) expresses his admiration for Ed Dames. (1 documents) – Correspondence – Supportive – By Ingo Swann – Published: 8/7/93 – Source: PSI TECH International, Inc.